I have spoken before about my love of all things blueberry so when I got my latest cookbook haul from Amazon I was immediately drawn to this receipe in ‘Huckleberry’. I have never tried bran in my muffins, partly because that sounded way too healthy for me and partly because it’s not something I keep readily handy in my pantry. However this receipe makes it well worth the effort! I reduced the honey content and added more maple syrup from the original receipe as I found the honey overwhelmed the taste of the muffin. 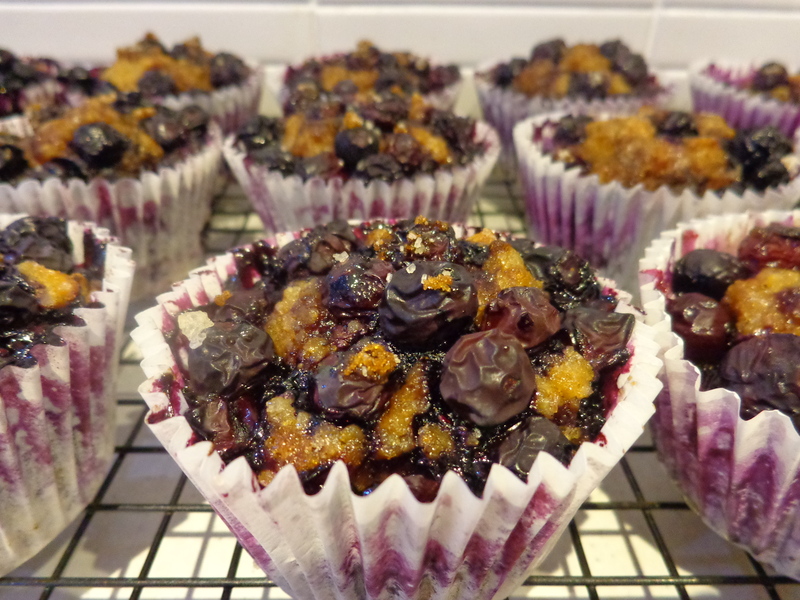 A few more tinkers with the receipe and here is a lovely muffin, very dense and moist with a great crunchy blueberry topping due to the sprinkled sugar. The texture is wonderful, not cakey at all. Just remember, when making muffins you want to barely combine the mixture. Do not under any circumstances use a mixmaster or any type of electric appliance when mixing. A bowl and wooden spoon is your friend for any muffin receipe. 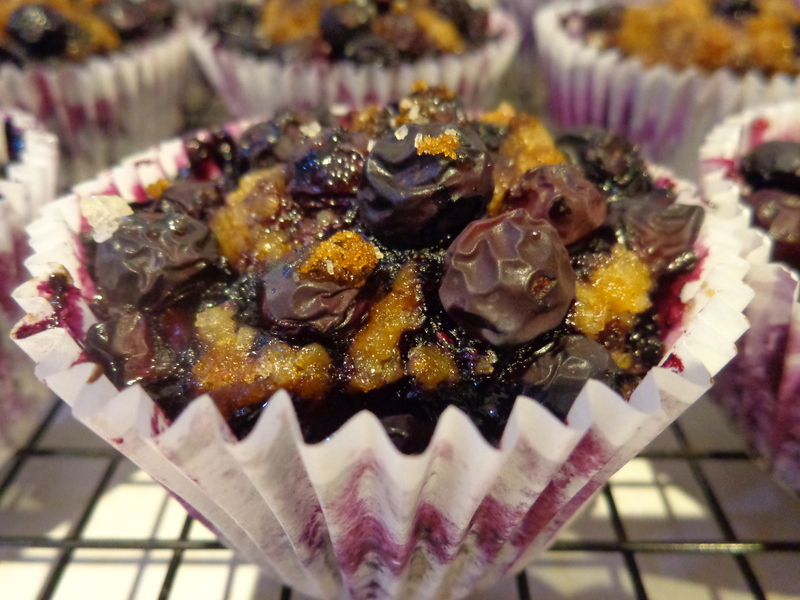 NOTE: Due to how dense the batter is the blueberries do not sink into the mixture like other muffin receipe’s. Instead they bake on top of the cupcake and release their juices creating lovely splotches of purple on the cupcake liners. These are perfect for breakfast… or any time of the day!!! There look delicious and beautiful – a neo-impressionist muffin!